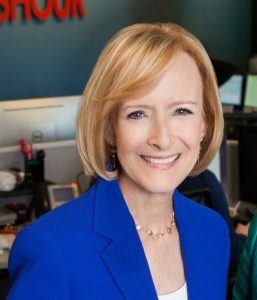 June 5, 2018 (New York City) – The leadership of the Alliance for Women in Media Foundation (AWMF) announces that Judy Woodruff, anchor and managing editor of “PBS NewsHour,” will be honored with a Lifetime Achievement Award at the 43rd Annual Gracie Awards Luncheon. Hosting the luncheon will be another television news veteran, Erica Hill of CNN. The annual Gracies Luncheon honors individual achievement and outstanding programming at the local level for TV and radio, public level for radio and student level for TV, radio and interactive media. It will take place June 27 at Cipriani 42nd Street in New York City. The Gracie Awards recognize individual achievement and outstanding programming created by, for and about women in all facets of media and entertainment. Given this year to Woodruff, who has covered politics and other news for more than four decades, the Gracies Lifetime Achievement Award honors a woman in media who exemplifies and embodies the essence of the iconic trailblazer, the late Gracie Allen, the namesake of The Gracie Awards. • For 12 years, she served as anchor and senior correspondent for CNN. Among the many awards, Woodruff has received the Edward R. Murrow Lifetime Achievement Award in Broadcast Journalism/Television. She also authored the book, “This is Judy Woodruff at the White House,” published in 1982. Woodruff is a founding co-chair of the International Women’s Media Foundation, an organization dedicated to promoting and encouraging women in communication industries worldwide. Gracies Luncheon host Erica Hill is a TV anchor and award-winning journalist. She serves as an anchor and correspondent for CNN. Most recently, Hill anchored CNN’s Headline News, “On the Story with Erica Hill.” She was previously a co-anchor of NBC’s weekend edition of “TODAY,” and served as an anchor and correspondent for NBC News. Before joining NBC, Hill was an anchor and correspondent at CBS News. Performing will be 2018 Billboard Artist-to-Watch Jessie Chris. Chris was the first country artist to be named “TODAY” Show Artist of The Month, and she was the youngest performer at the 2015 CMA Festival, an event she has also performed at in 2017 and 2018. Chris, the victim of extreme bullying as a student, is an anti-bullying advocate who has supported the Ad Council’s #BeMore Campaign and Disney’s #ChooseKindness campaign. This year, she will visit 100 schools across the country to speak with students about bullying and recently formed a partnership to share songs, inspirational quotes and vlogs directly with children and families through the Mazu app. Chris authored a children’s book on the subject, which will be released this summer. The National Gracie Award honorees were recognized at the Gracies Gala, May 22, at The Beverly Wilshire in Beverly Hills. A full list of recipients may be found on the Alliance for Women in Media website. For more information about the 2018 Gracies Luncheon or to secure tickets, please visit here. The Alliance for Women in Media Foundation (formerly known as The Foundation of American Women in Radio & Television) supports and promotes educational programs, and scholarships to benefit the media, the public, and allied fields. The Alliance for Women in Media Foundation has created partnerships and joint initiatives with the Emma Bowen Foundation, NCTA, NAB and other organizations that are philosophically aligned with the mission of the Foundation. In addition to giving $20,000 a year in scholarships to deserving female students, the Foundation also produces nationally acclaimed recognition programs, including the Gracie Awards that exemplary honor programming created by, for and about women. 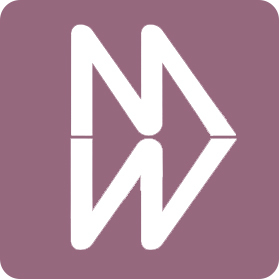 For more information about The Alliance for Women in Media, please visit: allwomeninmedia.org and follow on Twitter, Instagram (@AllWomeninMedia) (#TheGracies), and Facebook. Sponsors of The Gracies include Ford Motor Company, Crown Media Group, CNN, CBS Corporation, Discovery, Inc., FOX Sports, NCTA – The Internet and Television Association, Premiere Networks, SiriusXM, Katz Media Group, Beasley Media Group and Entercom.